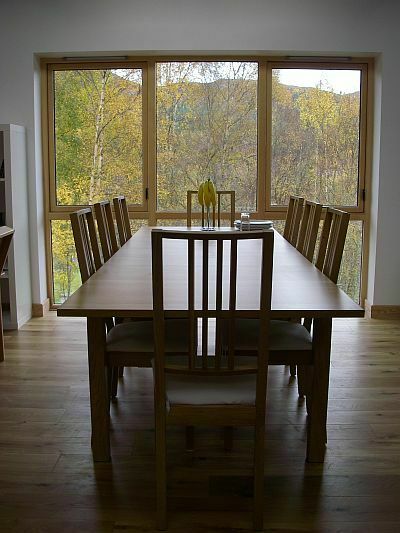 Rathad an Drobhair Self Catering Strathconon. Prices and Terms. Please see below for our pricing. 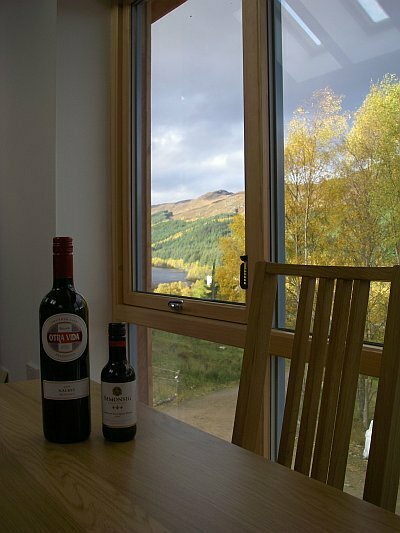 During non-peak weeks we are open to short breaks, but during peak season & school holidays we let for whole weeks only - but no harm in asking if it isn't already booked. Normal check in is Saturday 1600 onwards as soon as housekeeping complete & check out is 1200, but we can be flexible by arrangement, especially with short breaks. £100 booking fee is required to secure a reservation. 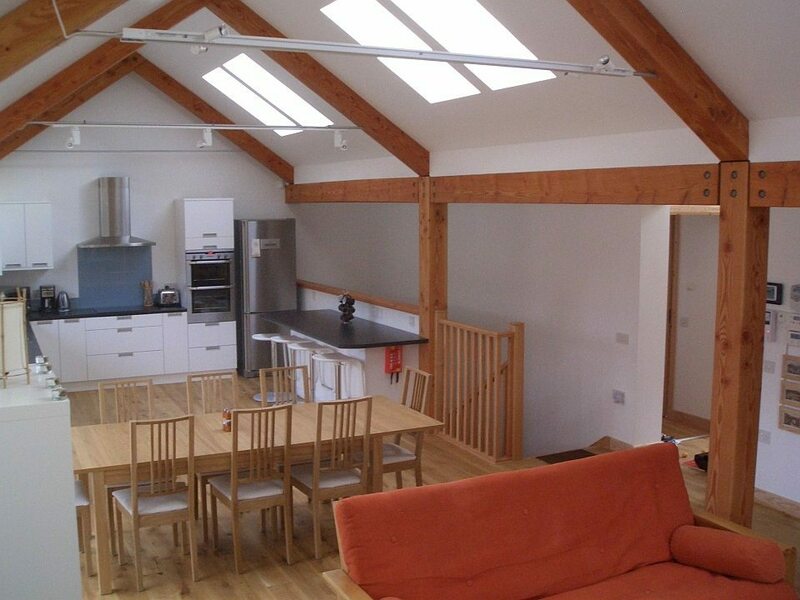 Full rental amount (including the security deposit) is then payable 4 weeks before the start of rental period. The £250 "good housekeeping" security deposit (£500 for all adult groups) will be refunded within 1 week of end of rental period, assuming all in order. Any substantial damage or breakages and consequent costs arising would be deducted from the deposit, we would endeavour to mutually agree the amount charged. Please be assured minor wear and tear and occassional small things getting broken is expected and wouldn't result in us calling on the security deposit. In the case of cancellation we will look to refund most of the payment immediately (all security deposit) and the £100 booking fee if we are able to re-let the week that was booked. Only persons named on the booking form (or subsequently declared) are entitled to stay in the accommodation. Fuel, towels & bed linen included. BT weekend phone package and unlimited internet provided. Calls to mobiles / premium numbers / international numbers are chargeable and may be deducted from security deposit, at cost, at the owners discretion. No smoking anywhere inside the house and all smoking outside should make use of ashtrays to ensure no litter, smells or risk of fire. Any extra time required to clear up litter will be chargeable. It is expected that guests will leave the house in a basically clean and tidy state so that the housekeepers have realistic time to prepare for the next guests. Please declare any accidental damage as soon as possible so we can arrange repairs / replacement for you if possible, and before the next guests arrive. The owners, or their agents, may enter the premises at a reasonable time of day for inspection purposes. Advance notice would be given, if possible. Your vehicles and their accessories and contents are left entirely at your own risk as are all personal belongings left in the property. As a general fire safety precaution we do not lock the windows in the house, all accessible windows must therefore be closed any time the house is unoccupied. Our bikes (2 adult bikes, >2 children's bikes, 2 tag-alongs and 2 bike seats for small children) are available for use, by arrangement, at your risk. Their condition will be dependent on the last visitors who use them. Please check you are happy that they are safe to use and the tyres are at the correct pressure to prevent punctures. A pump and puncture repair kit will be available. If you use them please let us know of any mishaps or damage. They are not new bikes but worth what they would cost to replace. you should ensure you have a vehicle and tyres / chains that are appropriate for the conditions there may be. The "main" road is ploughed less often during non-school weeks. In a severe winter the housekeeper may not able to visit immediately before you arrive which would mean the house wouldn't have been absolutely freshly prepared, but from experience would be absolutely fine. You would be required, with instruction, to turn water on at arrival and then off when you leave at the end of the rental period. We hope to have a road clearing service in place, but cannot guarantee this so it may be necessary for vehicles to be parked down the drive and this would mean a walk up to the house. Please view our winter photos page.